We added a white Stretch Ceiling with high gloss finish (mirror effect!) 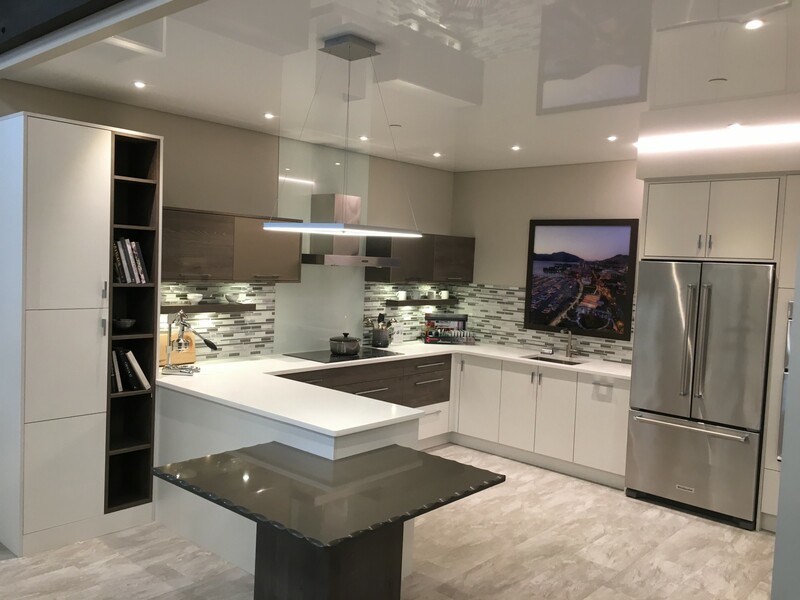 with integrated recessed LED lights, a contemporary LED pendant above the counter, a LED feature along the corner and concealed sprinkler heads to their stunning kitchen display. Below 2 picture, but check it out live at NORELCO if you have a chance – hope you like it! 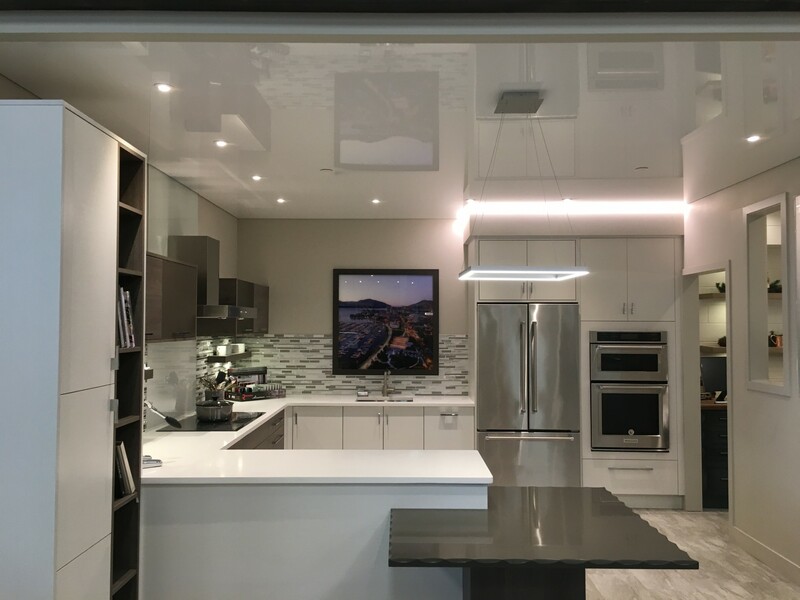 We look forward to add a stunning Stretch Ceiling to YOUR kitchen!